Things would've been really different if Toy Story was called Toyz in the Hood. 1. Pixar was originally started as a division of Lucasfilm in 1979. 2. The division was generically named Computer Graphics Division. 3. In 1986, Steve Jobs bought Computer Graphics Division from George Lucas for $5 million and renamed it Pixar. 4. In 2006, Disney bought Pixar for $7.4 billion. 5. The deal also made Jobs Disney's largest individual shareholder. 6. Pixar's first animated short The Adventures of André and Wally B. was produced in 1984. 7. Pixar's iconic lamp mascot is named Luxo Jr., and it is named after a 1986 short of the same name. 8. Luxo Jr. was the first CGI film nominated for an Academy Award. It was nominated for a Best Animated Short Film. 9. As a way to both market its animation software and generate money, Pixar produced commercials for various companies including: Tropicana, Listerine, and Lifesavers. 10. In 1991, Pixar signed a three-film contract with Disney. The first movie they were to produce for them was Toy Story. 11. In 1993, Disney almost shut down production of Toy Story because they found Woody to be too much of a "sarcastic jerk." 12. Fearing the film would be shut down, the film's director John Lasseter and the film's writers completely rewrote the script and "fixed" Woody in less than a week. 13. Woody's facial features are slightly based on a talking Casper the Friendly Ghost doll that Lasseter had as a kid. 14. Buzz Lightyear's facial features are loosely based after Lasseter. 15. Reportedly, Tom Hanks was interested in the role of Woody because as a child he always wondered whether his toys came alive when he wasn't looking. 16. Originally Barbie was intended to appear in Toy Story, but Mattel rejected the idea, so instead the character of Bo Peep was created in her place. 17. Joss Whedon, who is best known as the creator of Buffy the Vampire Slayer and the writer-director of The Avengers, co-wrote the script to Toy Story. 18. Whedon also, reportedly, came up with the character of Rex the Dinosaur. 19. Rejected titles for Toy Story included: The New Toy, The Cowboy & The Spaceman, The Favorite, and Toyz in the Hood. 20. 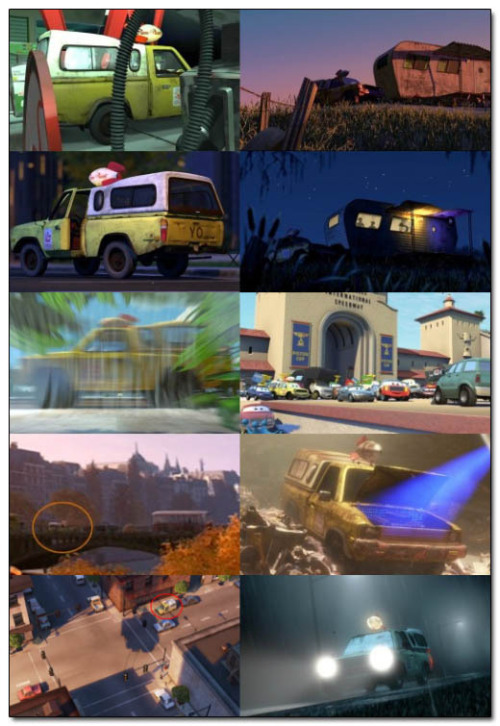 The Pizza Planet truck appears in almost every single Pixar movie. 21. The story ideas for A Bug's Life, Monster's Inc., Finding Nemo, and WALL-E all came from one lunch meeting between key Pixar creatives at a diner called Hidden City Cafe. 22. There is a tribute to Hidden City in Monster's Inc.
23. The idea for an animated movie about ants goes back as far as 1988, when Disney tried to develop a film call Army Ants. 24. A Bug's Life is loosely based on Akira Kurosawa's film, Seven Samurai. 25. It was not a coincidence that DreamWorks released Antz around the same time as A Bug's Life. Reportedly former Disney film chairman and DreamWorks co-founder Jeffrey Katzenberg wanted to delay the release of A Bug's Life so that it wouldn't compete with Dreamworks' release The Prince of Egypt (both scheduled to be released a few weeks apart). Katzenberg called Lasseter and told him he would stop production of Antz if they moved A Bug's Life release date – it didn't work. 26. "A113" is an Easter egg that appears in all Pixar films. It is a tribute to a classroom number at California Institute of the Arts that was used by many animation students including John Lasseter and Brad Bird. 27. 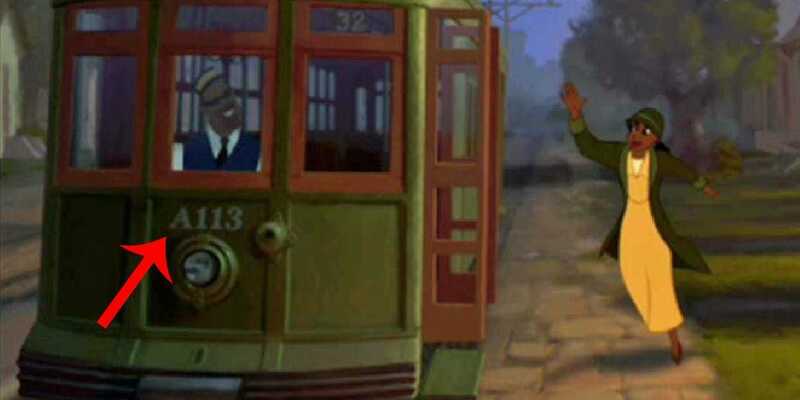 "A113" has also appeared in several animated Disney films and TV shows, like The Simpsons. 28. Toy Story 2 was originally intended to be a direct-to-video sequel, but Disney was so impressed with the early footage that they renegotiated to make it for theatrical release. 29. Lasseter was actually unhappy with the storyline for Toy Story 2, so he and his team rewrote the entire plot in one weekend. 30. Toy Story 2 is the first film ever to be created, mastered, and shown digitally. 31. It is also the first animated sequel to gross more than its original. 32. During the making of Toy Story 2 the film was almost completely deleted from Pixar's computers – luckily one copy remained on a back-up computer. 33. Toy Story 2 is regarded as one of the greatest sequels ever; it currently holds a 100% "Fresh Rating" on Rotten Tomatoes. 34. Billy Crystal deeply regretted turning down the chance to voice Buzz Lightyear, so he happily took the next Pixar role that was offered to him, which turned out to be the role of Mike Wazowski in Monsters, Inc.
35. Sulley's fur has more than 2,320,413 individual strands of hair. 36. Mary Gibbs, the 2-year-old who voiced Boo, couldn't stay still long enough to record her dialogue, so the recording team followed her around with a microphone and recorded her dialogue and sounds, then worked them into the film. 37. At the end of Monsters, Inc. Boo tries to give Sully a toy in an attempt for him to stay and play with her — the toy is Nemo (from Finding Nemo). 38. Mike's New Car was the first Pixar short to feature characters from another one of their films. 39. There is a secret speakeasy at Pixar called the Lucky 7 Lounge -- it is hidden behind a bookcase. 40. William H. Macy was originally cast as Marlin in Finding Nemo. After recording all of his dialogue the films producers felt he was not the right fit and replaced him with Albert Brooks. 41. Bruce the shark was named after the mechanical shark used in the movie Jaws. Steven Spielberg, who directed Jaws, named the mechanical shark after his lawyer Bruce Ramer. 42. Pixar is so detailed that they actually created diplomas for the dentist's office in Finding Nemo. 43. Finding Nemo is the best-selling DVD of all time; it has sold more than 40 million copies worldwide. 44. The original title of The Incredibles was The Invincibles. 45. The film's writer-director Brad Bird cast Sarah Vowell in the role of Violet after hearing her talk on This American Life. 46. In order to create an authentic out-of-breath voice for Dash, Bird made actor Spencer Fox (who voiced Dash) run laps around the studio. 47. The Incredibles was the first Pixar film to receive a PG rating. 48. Cars is Pixar's most profitable film. It has generated $10 billion (YES, $10 BILLION!) in just merchandise sales alone. 49. Paul Newman, who voiced Doc Hudson in Cars, was also, in real life, a race car driver. 49. With a rating of 39%, Cars 2 has the worst score of any Pixar film on Rotten Tomatoes. 51. Ratatouille's Remy has 1,150,070 individual hairs on his body. 52. Pixar initially planned to sell a Ratatouille wine as a tie-in to the film, but it was pulled right before it hit shelves because they felt it would encourage minors to drink. 53. Wall-E's name is actually an acronym that stands for Waste Allocation Load Lifter: Earth-Class. 54. WALL-E was one of Pixar's most complex films; it required 125,000 storyboards alone – previous Pixar films only required, at most, 75,000 storyboards. 55. In Up, 20,622 balloons are shown lifting Carl's house. 56. Up is the second animated movie to be nominated for an Academy Award for Best Picture; the first was Beauty and the Beast. 57. Up was also the first Pixar movie to be shown in 3D. 58. Toy Story 3 was almost made without Pixar. Disney, which maintained the rights to characters and its sequels, had a falling out with Pixar over the terms of the third film and proceeded to begin planning the film. 59. Disney's storyline for Toy Story 3 revolved around the gang rescuing Buzz from a Taiwanese toy factory. 60. Pixar created a fake early '80s commercial for Lots-o'-Huggin' Bear as part of the viral marketing of the movie. 61. The Barbie and Ken from Toy Story 3 are based on real dolls. 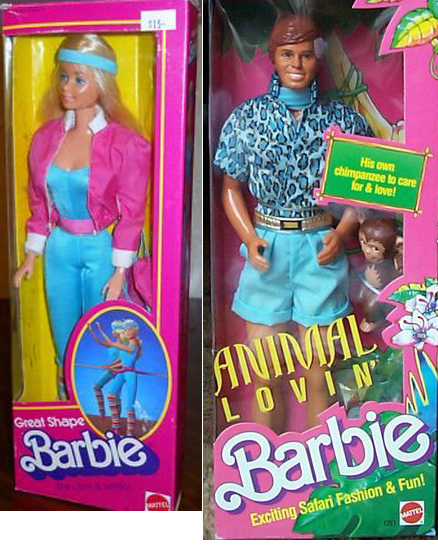 Barbie is the "Great Shape" doll from 1984, and Ken is the "Animal Lovin" doll from 1988. 62. Although it is never addressed in the movie, Andy knows Carl and Ellie from Up; a postcard from them hangs clearly on his pin board. 63. Toy Story 3 is the only film from the trilogy to not have a 100% "Fresh Rating" on Rotten Tomatoes. It currently holds a 99%. 64. Reese Witherspoon was originally cast as Merida in Brave. 65. Merida wears 22 different costumes throughout the movie. 66. As part of the marketing for Monsters University, Pixar created a fake admissions website for M.U. 67. In 2008, Pixar announced it would release the film titled Newt in 2012, but the movie was canceled in 2010. Reportedly the storyline was too similar to Blue Sky Studios' Rio. 68. John Ratzenberger, best known as Cliff Clavin on Cheers, has been a voice actor in every single Pixar film. 69. There is a mind-blowing theory that all Pixar films exist in the same universe.